Hyperpigmentation. Chances are that you’ve heard this term before. How do you know if you have it or not? Hyperpigmentation is darkening and discoloration of the skin. Red, brown, pink or even purple-looking spots, clusters or streaks on the surface of the skin are examples of hyperpigmentation. Acne, sun exposure, eczema, psoriasis, and contact dermatitis can all cause hyperpigmentation. If you have it, what should you do about it? We’ve got you covered. Red light is a narrow, isolated form of natural light to give the appropriate intensity and wavelength for light therapy. The intensity of red light used in therapy is much higher than you would naturally get from sunlight. And, it’s not damaging like sunlight can be! Sunlight has a wide range of colors, not just red light, that can be damaging to skin after long exposure. Red light acts as an anti-inflammatory agent, which is part of what causes hyperpigmentation. In addition, red light has a long enough wavelength to penetrate the epidermis (outermost layer of the skin) and reach the dermis (the middle layer of the skin). This enables it to reach fibroblasts, special types of cells that sit beneath the skin and manufacture collagen – a protein that helps tighten and firm the skin and heal wounds. Check out our red light devices like POLY Go, which is a handheld device. Also, check with your insurance company because some policies will cover the cost of a red light device. Serums are concentrated versions of essences designed to treat one problem, like hyperpigmentation. 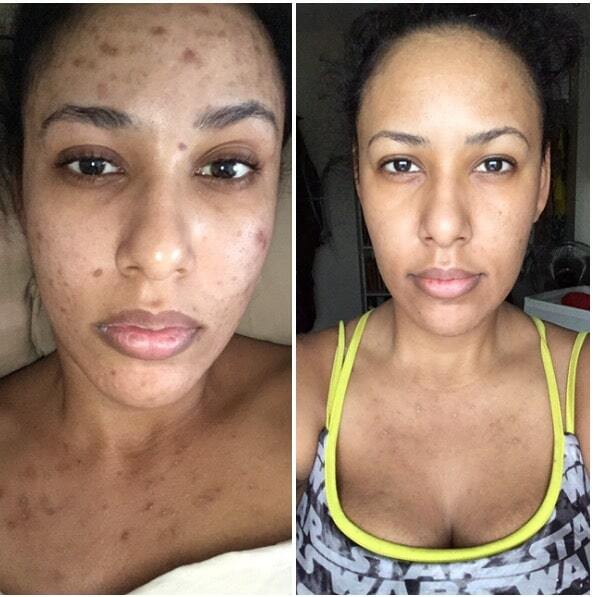 Vitamin C serums have been proven to be effective in reversing hyperpigmentation. Vitamin C gently exfoliates dead, dry skin, calms inflammation and speeds up healing. The removal of old skin and the growth of new skin fade discolorations. Vitamin C also stimulates the skin to make collagen so your face looks firmer with fewer wrinkles and defends against UV rays by thickening the epidermis, the top layer of skin. If you’re new to serums or have sensitive skin, you may want to start out with a gentler version of a Vitamin C serum: Alpha Arbutin. You can also start using Vitamin C serums mixed in with your moisturizer or go with a lower concentration of Vitamin C serum: 30% is high. 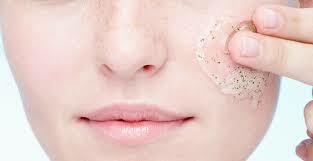 Exfoliation is used to remove dead or hardened skin cells that can clog pores and lead to acne and dull skin. However, Exfoliants can also remove darkened skin cells in the outer layers of skin, thus lightening hyperpigmentation. Exfoliate two times a week so you’re not scrubbing your skin too hard and causing damage. Some dermatologists recommend using treatments containing glycolic acid, an AHA that exfoliates the skin and lightens dark patches of skin. As mentioned earlier, too much sun exposure can damage skin which causes inflammation and leads to hyperpigmentation. 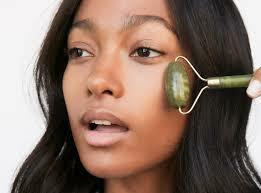 Using sunscreen every day is vital to help to prevent hyperpigmentation and to prevent it from getting worse. 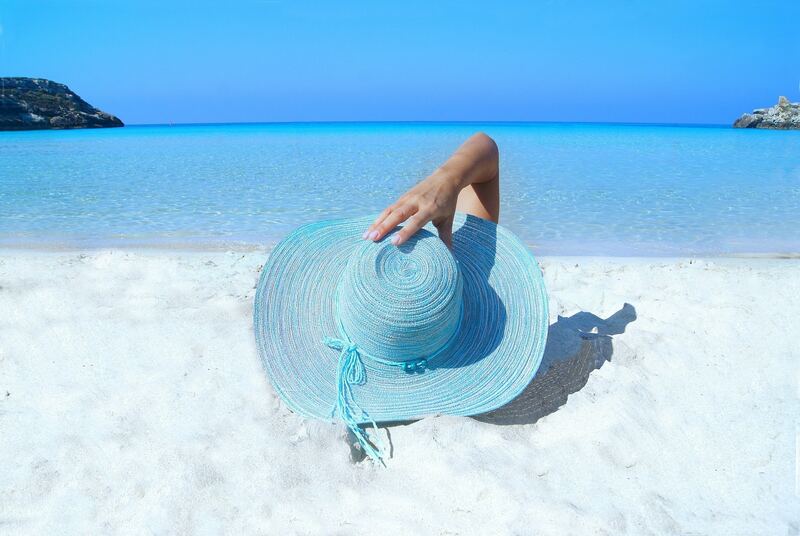 Also, if you’re going to be outdoors for 30 minutes or longer, use a large-brimmed hat like a baseball cap or beach hat to keep the sun off of your face. Jade rolling is pretty much exactly what it sounds like: You roll a device made out of jade on your face. It helps drain lymphatic tissue, reducing puffiness. Sticking your jade roller in the fridge before you use it has additional benefits because it reduces inflammation, a factor in hyperpigmentation. It can look kind of scary, but a cooling face mask that you pop in the fridge or freezer can also have a similar effect. 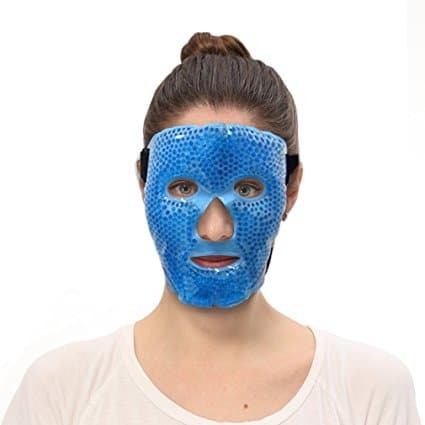 The cool mask helps reduce inflammation. · Berries — Good source of antioxidants including vitamin C and E that protect skin. · Leafy green veggies — Great source of vitamin C and phytonutrients that decrease free radical damage. · Wild-caught salmon and other types of omega-3 rich fish — Contains astaxanthin carotenoids, which help to reduce oxidative damage and inflammation, while also supporting skin elasticity and moisture. · Pomegranates, strawberries, blueberries and cherries — Contain antioxidants, vitamins, phytonutrients and ellagic acid, which help with wound healing and preventing free radical damage or discoloration. · Egg yolks — Can help form biotin, which supports skin’s cellular structure. · Green tea — Contains polyphenols, which have free radical-scavenging abilities. Green tea can also be applied topically to the skin to reduce inflammation. · Healthy fats including coconut oil, olive oil, avocados, almonds, flax seeds, walnuts and other nuts/seeds — Help to keep skin hydrated, prevent dryness and reduce inflammation. Whether it’s a 10 step Korean Skincare Program or something simpler, having a skincare regimen that works for you is really important in preventing acne, which can cause hyperpigmentation.